Pritchett got his start as a DJ at Rooster's Country Cabaret bar in Pitt Meadows, BC, and played in a house band performing cover tunes. Pritchett co-writes much of his own material and he eventually put together some independently produced songs and released a couple of CDs. Since 2002, local radio station JRfm has picked up Pritchett's songs. His exposure has also grown with a number of videos getting airplay on CMT Canada. He is signed to 604 Records, production company of Nickelback's Chad Kroeger. Pritchett most recently toured Western Canada with Toby Keith and fellow 604 Record artist Jessie Farrell this fall to promote his album, Thankful, which was released on September 9, 2008. He also released His newest album "In the Drivers Seat" on November 9, 2010 with Decibel Records. Noteable Entertainment & Events is a Vancouver based booking agency, party rental, entertainment services and event production company. 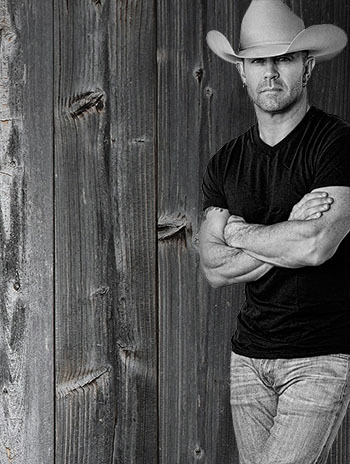 If you are interested in booking Aaron Pritchett please contact us.